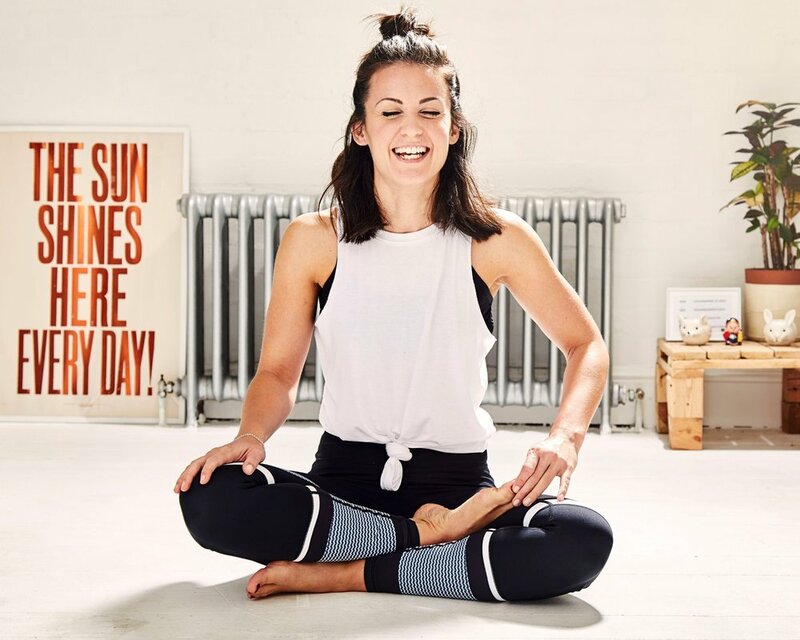 Hey, I'm Helen, a yoga teacher and content creator from Essex, currently residing in East London. I started getting into yoga in 2012, I was working in E-commerce and wasn’t dealing with stress very well. I decided I needed something to make me leave work on time, so I started booking into yoga classes. At first I was all about hot and power yoga, I loved the heat, sweating buckets and feeling physically stronger with each practise. After a few months and practising with some amazing teachers, the mental benefits were starting to surface. It took me a while to put the two together, but I started feeling calmer, almost lighter, more compassionate towards myself and others. I also started to introduce more gentle styles of yoga into my practise. In December 2016 I completed my 200hr yoga teacher training with YogaLondon, left my full time job in Digital Content and started teaching at my own space in Bethnal Green, as well as covering for teachers, corporate classes and private 1:1's. I teach vinyasa flow yoga, which incorporates playful flows, in a calming and encouraging way. I think yoga is a great way to look after the body and teaches us to listen to it a bit more intently. I plan my classes so they are suitable for all levels, but also throw in a few challenges, so people can tailor the sequence to how they’re feeling. I always like to give students a good amount of time for final relaxation and to help them settle their minds. I trained as an Indian Head Massage Therapist, so I was able to help release tension held in the neck, shoulders and head. My aim is to give students the best bits of yoga in plain English, making yoga relatable to modern life and give people the tools to use off the mat, whether that be simple stretches at your desk, calming visualisations or easy breathing techniques to call on when you need them.